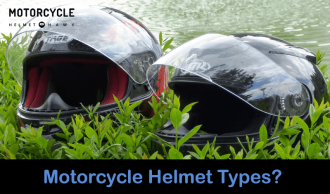 Dual-sport headgear, as indicated by the name, has to be capable of pulling double-duty; it needs to handle both off-road and on-road riding conditions with aplomb. 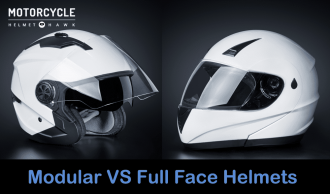 The best dual-sport helmets will do this in a balance, providing for both situations equally without falling short in one of them. As such, they’re among the most versatile helmets when multi-terrain riding is your primary concern. 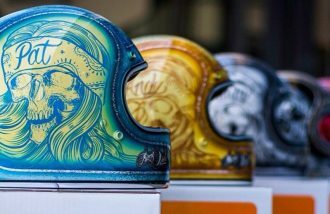 The rising popularity of adventure and off-road biking has led to a boom in the production of these helmets. This means that you can now choose from a good selection and will not need to break the bank just to get multipurpose headgear. Some of the best will still run you hundreds of dollars, of course, but the bargain alternatives are now giving them a run for their money. Check out some of these products rated on their important considerations: function, style, and budget. 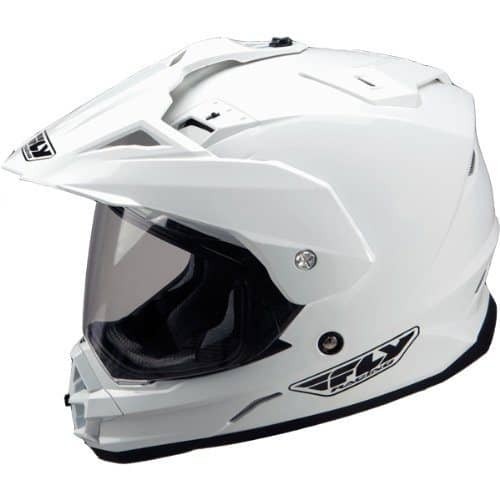 The AFX FX-39DS Dual Sport Helmet is a hybrid helmet with a lightweight composite poly-alloy shell and a hypoallergenic liner and cheek pads. It is Department of Transportation (DOT) certified to fit the agency’s safety standards and comes in sizes XS-4XL to fit a wide range of riders. 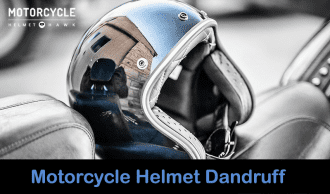 The anti-microbial nylon liner and cheek pads are removable and washable for those dirty rides, and the face shield is compound-curved, scratch-resistant, and UV-rated for high protection. It costs about $110. The AFX FX-39DS is a great dual-sport helmet because it feels good on your head, offers a great field of vision, doesn’t skimp on skull protection (you only need to feel the thickness of the padding to see how serious AFX is), and comes in a wide variety of handsome finishes—including an eye-searing but memorable fuchsia. It does all of this for about a hundred bucks, which shows you that quality doesn’t always need to empty your savings account. GMAX’s GM11D is easily one of the most popular models ever released by GMAX. It has DOT approval and the wide eye port expected of a hybrid. The vents can be shut and opened with one hand, and the interior liner and cheek pads may be detached and washed. 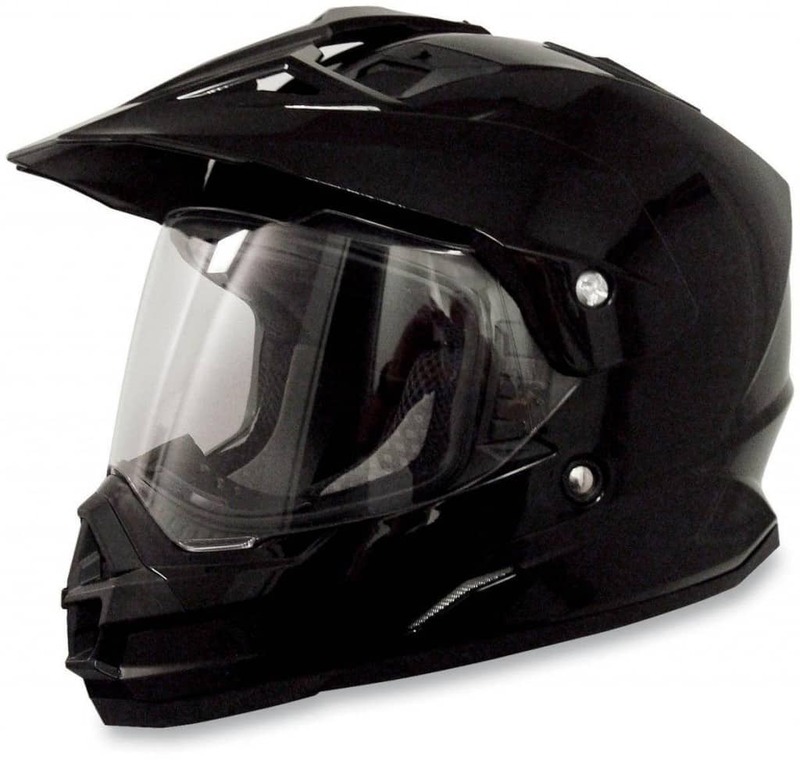 This helmet comes in sizes XS-2XL and costs a bit less. 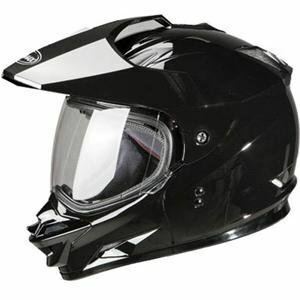 This is one of the most well known bargain dual-sport helmets around, probably because it offers so much for so little. Good comfort, good material quality, good performance, and good styling for less than a hundred makes it a steal, although you will need to deal with a few small issues in exchange. It can fog up occasionally, for instance, and it has a few plastic screws where you would expect metal ones (at the visor-hinge connection, for instance). All in all, though, it’s a very good buy if you’re looking for your first dual-sport bike headgear. 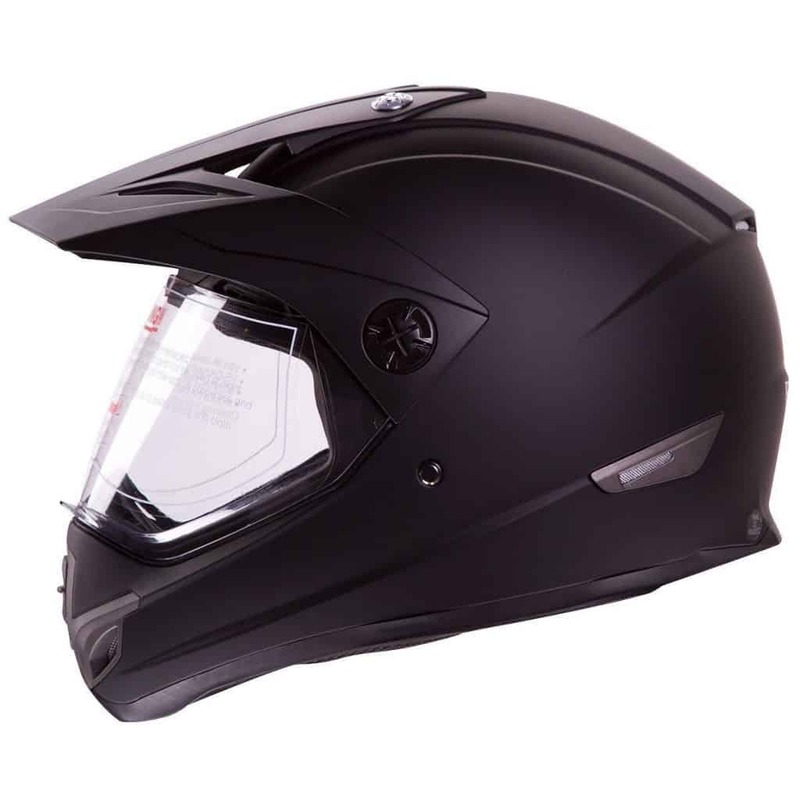 IV2’s Flat Black Dual Sport Helmet is a DOT-certified product with a clear, fog-resistant shield and removable sun visor. 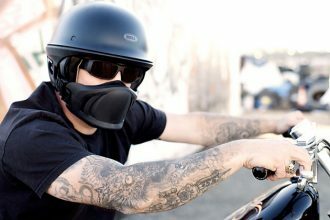 The interior liner is impact absorbent and removable, and the helmet features multiple venting ports to keep you cool. It comes in sizes S-XL. IV2 is pretty well known already for making great budget bike helmets. This one is no exception. At under $70, you might expect far less of it than it supplies. 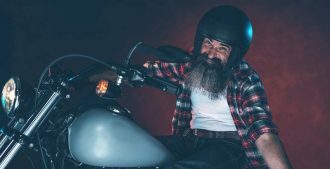 It may not have perfect optical quality—most hybrids don’t—and you might wish for metal screws where some plastic ones lie, but on the whole, it’s still built well enough that you never worry about it failing to protect your head. Besides that, it sits snug and easy on you, doesn’t make you look like a bobble-head, and gives you a great (if faintly distorted) field of vision. It doesn’t have any available after-market component options, but that seems like a minor gripe in view of all you get with your initial purchase. 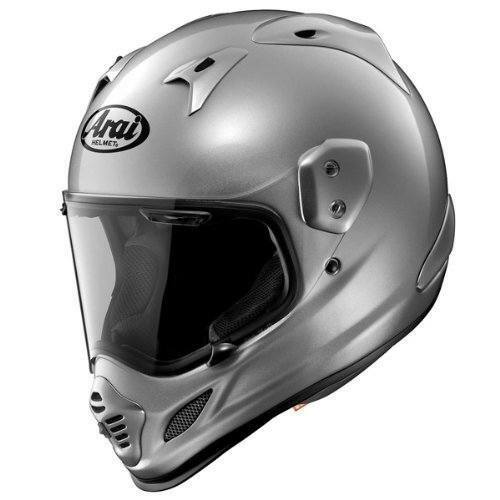 Arai’s XD4 is the successor to the XD3. Redesigned for improved aerodynamic performance, the shell is made of complex laminate construction and has a removable and replaceable interior liner. It comes in sizes XS-2XL and is available in silver, yellow, black, and white finishes. This helmet costs more that 5 bills and puts it at the upper end of the price spectrum. The XD4’s only listed drawback is price because it really does perform superbly at everything else. 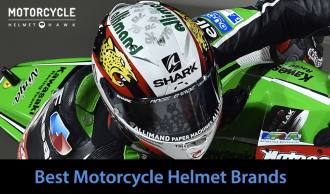 You won’t be able to argue with the excellence of its manufacturing details, as Arai is known for its meticulousness in production. 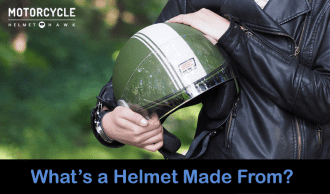 Even the padding inside the helmet speaks to its quality and the value of its protection, and the exterior finish is nothing to balk at either. However, being that it is the most expensive item on this list, it may well be out of reach if you’re on a tight budget. The Fly Racing Trekker is made of poly-alloy materials for lightness combined with strength. The face shield ratchets into place instead of simply sliding up, allowing you to set it to different positions. It also has an extensive system of vents throughout the shell and comes in at about the middle of the road. The Fly Racing Trekker is a good, entry-level dual-sport helmet with nice quality for its price. 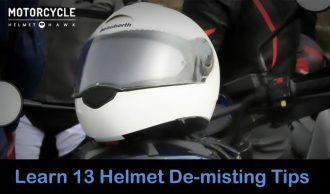 The ratcheting face shield is a convenient and helpful feature, although where this helmet really shines is in comfort. The large number of vents—a total of 16—keep it nicely aerated at all times, and soft padding enhances the overall fit. It doesn’t have that many premium features otherwise, but because it’s a $100 helmet, it doesn’t need to. 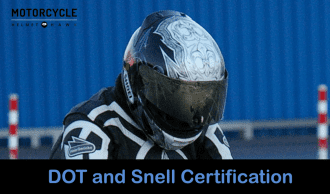 Of the dual-sport helmets listed here, the best one for sheer quality and comfort is the Arai. The problem is its price, of course. 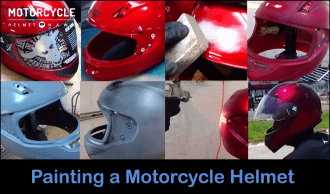 Not every biker can afford to shell out that much money for a helmet. If you have this problem, any of the other options on this list would be better for you. Exactly which option would suit you best depends on what you prize most, though. Are you more concerned about reducing as much noise as possible on a budget? Pick the GMAX. Want as optically correct a view as you can get under $100? Get the AFX. Whatever the case, you will be getting a great hybrid helmet.